There's more bad news for Xperia fans today: unlike the forthcoming Samsung Galaxy S10 (and the current Huawei Mate 20 Pro), it looks as though Sony's new flagship handset, the Xperia XZ4, will NOT feature an in-screen fingerprint reader. This comes hot off the back of news that the Japanese company has found developing a 5G handset "a challenge" and that it is also considering dropping its Xperia Compact range. 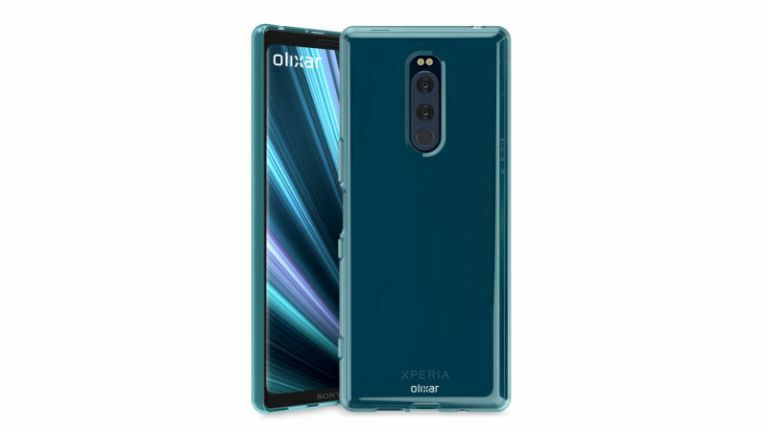 The Xperia XZ4 specs, which come courtesy of cases by produced Olixar and posted by MobileFun, confirm earlier rumours of a tall 21:9 display and triple cameras. The case designs also suggest that the fingerprint scanner has moved to the side of the phone. Previously, it was on the back of the Xperia XZ3. That's not a revolutionary technical advancement when you consider that the fingerprint reader was on the side of the original Xperia XZ which was announced at IFA on September 1, 2016, and that's disappointing news from a handset manufacturer that is already struggling. Looking at the case images, there is a possibility that the fingerprint reader is actually in the screen, but in every XZ4 case listed on MobileFun the power button has been left exposed, suggesting this is where the sensor will be housed. Given the course that the troubled phone manufacturer is currently on, an expensive-to-develop in-screen fingerprint reader does seem unlikely. The company released its fiscal second quarter results last December – three months to the end of September 2018 – and the numbers from Sony Mobile are frankly awful. The company only shipped 1.6 million Xperia-branded handsets during the quarter – the lowest ever for Sony. Shipments were down by over half compared to the same period the previous year. Sony wants to turn things around but it looks as though the XZ4 might merely be the tentative start of that process. Indeed, Sony recently said that while it would be announcing new handsets at MWC 2019 in February, "What we present there will be a first step showing the direction we are going". It's going to need to take a lot more steps to catch up with Huawei and Samsung.